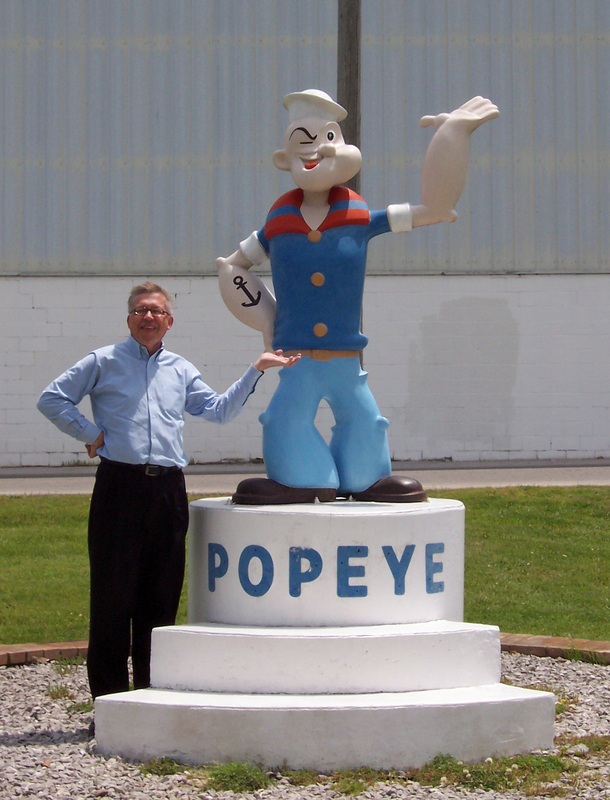 Springdale Popeye – The Home of My "Big Things"
Here is another Big thing in Springdale, Arkansas. It’s on the main road from Rogers to Springdale outside what must be a spinach packaging plant. A buyer, Bob H had called and told me about this guy.